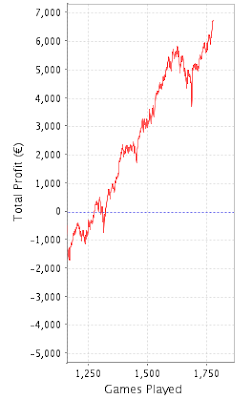 It's been a little while since I reported on my Heads-Up progress. Things are still going well, dating back to when I started keeping a more decent schedule and playing throughout the daytime. 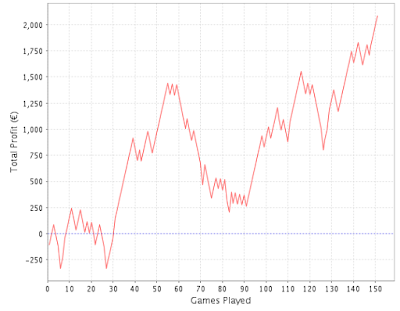 I've been a little bit lax in the amount I've played somedays, I've been playing between 20-25 a day the last couple of weeks. I'd prefer to play at least 30 a day but with some rake-races coming up I'm sure I'll be playing much more during that time. Long may this run continue! 0 Comment to "Heads Up going nice and steady..."